When a diagnosis of high cholesterol is given, consider ways to lower cholesterol naturally. Most people that adopt a stringent health regimen will significantly lower their cholesterol in a natural, safe way, without the use of potentially dangerous prescription drugs. In most cases, your physician should recommend lifestyle changes that will not only improve your cholesterol levels, but also will also generally improve your health. When embracing a new lifestyle, it is important to know what cholesterol is, the different types of cholesterol, how they relate to each other, what they contribute to your general health as well as natural ways to lower cholesterol. Find answers to these questions on this page. Cholesterol, also known as lipoprotein, is an essential fat that is both produced by our bodies in the liver, as well as obtained from the food we consume. While cholesterol is necessary in our bodies as it supports the body’s cell membranes, too much of the wrong kind of cholesterol is dangerous. Low-density lipoprotein, or LDL, tends to deposit in the walls of arteries, a process that can start as early as childhood. In an attempt to protect the blood vessels, the body’s white blood cells try to digest LDL, and during the process, convert LDL to an oxidized, toxic form. As more white blood cells and LDL converge in the blood vessels, a steady low-grade inflammation occurs in the artery walls. 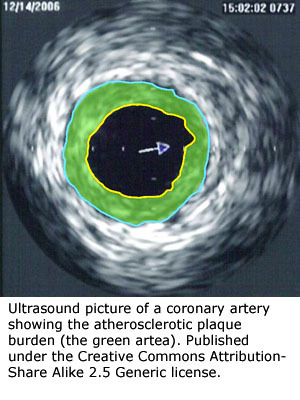 The ongoing process of LDL buildup and oxidation creates bumps in the artery walls, called plaque. As plaque builds up in the artery walls, it can grow to critical levels – even to completely blocking the vessel, causing a heart attack as the required blood can no longer flow to the heart. Another danger of LDL and plaque buildup is the risk of the surface of the plaque rupturing, resulting in a blood clot, which also causes a heart attack. So decreasing your LDL levels is extremely important. High levels of LDL cholesterol significantly raise your risk for heart attacks, although your own risk of heart disease plays a significant part in determining where your LDL levels should be. Your doctor will help you determine your risk for heart disease, and help you determine for which LDL level you want. This high-density lipoprotein, or HDL, is essential to the body’s function and is the body’s first line of self-defense against LDL cholesterol. Traveling through the bloodstream, HDL removes LDL cholesterol from arteries, transporting it to the liver to be reprocessed. HDL also scrubs the blood vessels clean of LDL to keep them healthy during a chemical process. HDL acts in a variety of ways to reduce the risk of heart disease, so maintaining high levels of HDL is very important. Increasing your HDL levels along with decreasing your LDL levels is essential to lowering your risk of heart attack and heart disease. Let us examine the ways to lower cholesterol naturally. A diet low in cholesterol is the first change to make, and knowing what foods to avoid is critical to improve health and to lower cholesterol naturally. Saturated fat also raises LDL cholesterol levels, which means that it is important to significantly lower the amount of saturated fat that you consume. 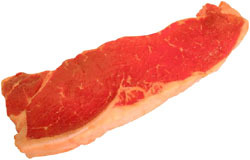 A major source of dietary cholesterol, red meat also contains high levels of saturated fat. To lower cholesterol naturally trying to reduce or eliminate your intake of red meat is vital, as well as changing the kinds of red meat and cooking styles. When on occasion you do eat red meat, choose lean cuts of meat, with all visible fat trimmed off. Instead of using sauces for flavorings, grill and use herbs and spices. In general, choose smaller portions of red meat when you do eat it. Eggs contain very high levels of cholesterol, but only in the yolk. 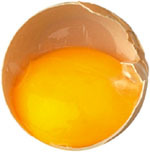 Reducing or eliminating the consumption of egg yolk will lower your cholesterol consumption. Many foods, such as ice cream, cakes, cookies, etc., contain eggs, so use discretion when eating these foods as well. Most recipes are easily modified using egg whites instead of the entire egg so you may lower cholesterol naturally. Ice cream, milk, sour cream, cheese, butter and other dairy products contain high levels of saturated fat and cholesterol. Instead of full-fat options, choose low or non-fat options to reduce the amount of saturated fat and cholesterol you consume. High in total fat, fast foods such as hamburgers, fries, tacos and fried chicken are also extremely high in saturated fat. 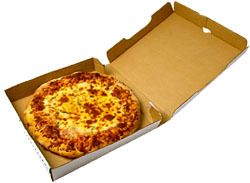 Try to completely avoid fast food restaurants, but when you can’t, foods that are low in saturated fat and cholesterol, such as salads (with low-fat dressings), broiled chicken sandwiches, and foods that are not fried. Refuse cheese and mayonnaise for your meal in order to lower cholesterol naturally. These foods are notorious for poor nutrition. Crackers, chips and cookies often contain high levels of saturated fat and hydrogenated fat and should be avoided whenever possible. Sorry, there is no way around it: fatty and processed meats such as hot dogs, sausage, bacon, bologna and bacon should also be avoided. Kidney, liver and brain are all significant sources of cholesterol and should be avoided if you want to lower cholesterol naturally. In the fight to lower cholesterol naturally, not only will avoiding certain foods lower your bad LDL cholesterol, eating particular other foods will lower your cholesterol, as well as raise your good HDL cholesterol levels. Kidney beans, barley, prunes, apples, pears and especially oatmeal are high in soluble fiber. Consuming these and other foods high in fiber on a daily basis has proven to lower cholesterol naturally, by reducing the absorption of cholesterol in the bloodstream. Wild-caught fish, such as salmon, mackerel, halibut and tuna are high in omega-3 fatty acids, which reduces blood pressure and the lowers the risk of developing blood clots. Other cholesterol lowering foods with significant amounts of omega-3 fatty acids are flaxseed, chia seed and grape leaves. Raw nuts such as walnuts, almonds, hazelnuts and pecans are high in polyunsaturated fats, which keep your blood vessels healthy and lower your risk for heart disease. Nuts are high in calories, so portions should be limited to one serving of raw nuts per day to lower cholesterol naturally. This heart healthy oil is a good source of antioxidants that help to lower your LDL cholesterol levels and increase your HDL levels. 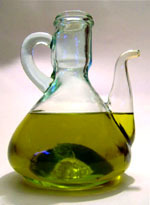 Olive oil is an excellent replacement oil in your diet, and eating up to two tablespoons a day is recommended to lower cholesterol naturally. Taken in its raw form, garlic will to help lower cholesterol. High in antioxidants, strawberries, blackberries and especially blueberries will help lower cholesterol naturally. Now available in orange juice, yogurt drinks and margarine spreads, plant derived sterol and stanol-fortified foods have proven effective in lowering cholesterol levels. All in all eating a diet rich in vegetables, whole-grains, fruits and beans will improve your health and lower your bad cholesterol levels. Changing food habits is a start, but increasing your exercise levels is a natural cure for high cholesterol. Participating in a daily exercise program, and continuing to increase your exercise levels, has proven to not only lower the bad LDL cholesterol levels, but also to raise the good HDL cholesterol levels. Exercise stimulates HDL to move LDL from your arteries to your liver, where it is reprocessed into bile, and excreted. If you are new to exercise, it is important to start a new program carefully to avoid injury. However, it is safe for most people to engage in some sort of exercise for a minimum of 30 minutes per day. As your fitness levels improve, increase your activity level from moderate to vigorous, as well as add to the length you exercise. Among the other health benefits of exercise, your LDL levels will decrease and your HDL levels will increase, resulting in a healthier you. Smoking is not only bad for your general health, but also decreases your good HDL cholesterol levels, inhibiting the body’s natural function to fight bad LDL cholesterol. If you smoke, talk to you doctor about quitting. Have your blood pressure checked. High blood pressure and high cholesterol levels are the precursors to heart disease and increase your risk for heart attack. If your blood pressure is high, talk to your doctor about ways to naturally decrease it. Studies indicate that people that lose weight also lower cholesterol levels. While diet and exercise will assist in weight loss, talk to your doctor about how much weight to lose, and how to safely do it. Alcohol and caffeinated drinks increase cholesterol, so limit such intake to one beverage a day at the most. While a diagnosis of high cholesterol can be frightening, gaining control of your health and regaining normal cholesterol levels is achievable. Changing your lifestyle to lower cholesterol naturally will drastically improve your health and help to avoid the dependence on prescription drugs. What Would You Like to Read Now After This Article on How to Lower Cholesterol Naturally?